Elisabeth Geel was born in the Netherlands. Her love for music originated early in her life. As a child – her mother told her – she would sing herself to sleep, uttering bizarre compositions in a non-existing language. At the age of twelve, after completing music school for children wherein she learned how to read and write music, she took classical guitar lessons and began to write songs. After graduating from high school she was offered a position as an au-pair girl in Alaska. It was the beginning of a two-year US experience that would have a life-long impact on her. 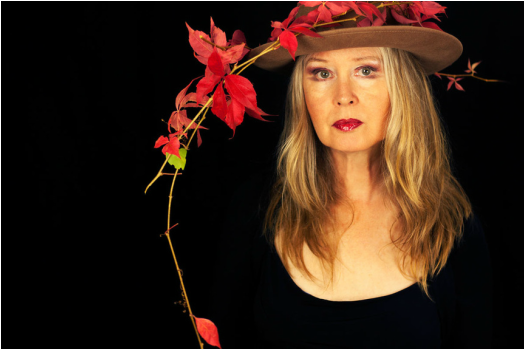 Elisabeth traveled from Alaska to the southwest, where she played music clubs and developed her skills as a vocalist and songwriter. In the early nineties she continued her career in Europe, mostly in Italy, and ever since she has performed at a variety of venues, from luxury resorts to jazz clubs, theaters, casinos, and music festivals throughout Europe, Asia, the US, and the Middle East. Elisabeth currently works and lives in Denver, Colorado. She is also a voice instructor. Visit cantomoderno for more information. So Cool, 2006 (MPrecords) featuring Lino Brotto (guitar), Federico Malaman (bass), Marco Carlesso (drums). Preface to a Dream, live recording, 2009. Eleven songs arranged for string orchestra and jazz quintet, released in March, 2013 by Terresommerse, Rome, Italy. Numbers, EP (2013) with Bruno Cesselli (piano), Mattia Martorano (violin) and Alessandro Turchet (upright bass), to be released in September, 2014. Mystified, single and video, released in September, 2013. Lookin’ Ahead, Aaron Tesser & The New Jazz Affair (Irma Records, 2008). Children, (collaboration as a songwriter/lyricist), by Aaron Tesser & The New Jazz Affair (Irma Records, 2010). Elisabeth Geel plays Canova and Alhambra guitars. Fabrizio Bosso (trumpet), Robert Bonisolo (tenor sax), Ettore Martin (tenor sax), Paolo Ghetti (bass), Stefano Paolini (drums),Gianluca Carollo (trumpet), Beppe Calamosca (trombone), Michele Polga (sax), Giorgio Caverzan (clarinet), Aaron Tesser (sax), Lino Brotto (guitar), Michele Calgaro (guitar), Alberto Negroni (guitar), Danilo Memoli (piano), Bruno Cesselli (piano), Alessandro Turchet (bass), Paolo Corsini (piano), Nicola dal Bo (organ), Francesco Signorini (keyboards), Mauro Beggio (drums), Massimo Manzi (drums), Carlo Canevali (drums), Marco Carlesso (drums), Gianni Bertoncini (drums), Edu Hebling (bass), Davide Pezzin (bass), Alessandro Turchet (bass), Federico Malaman (bass), Flavio Zanon (bass), Beppe Pilotto (bass), Toni Moretti (bass), Paolo Andriolo (bass), Stefano Olivato (bass), Alberto Negroni (guitar), Diego Rossato (guitar), Andrea Boschetti (guitar), Stefano Gislon (guitar), Claudio Zambenedetti (tenor sax), Randy Tico (bass), Rico Belled (bass), The Estrada Bros, Fabrizio Rispoli (vocals), Valerio Galla (percussion), Giorgio Zanier (drums), Glauco Venier (piano), Armando Battiston (piano), Oscar Marchioni (piano), Luca Pitteri (vocals), Marco Catinaccio (percussion), Mattia Martorano (violin), Michele Rossi (violin), Martina Pettenon (viola), Stefania Cavedon (cello), Massimo Bubola (singer-songwriter), Howard Wooten (guitar), Mark Usvolk (bass), Pete Swan (drums), Ed De Lucia (guitar), Jack Wood (bass), Mike Levy (drums), Danny Brito (drums), Manny Brito (guitar), Rob Boone (trombone), Nick Coventry (violin), Jason Carder (trumpet), and many many more..
Ivan Lins, Gal Costa, Djavan, Stevie Wonder, Joni Mitchell, Laura Nyro, Steely Dan, Gino Vannelli, Frank Zappa, Sarah Vaughan, Chaka Khan, Phoebe Snow, Minnie Ripperton, Barbra Streisand, Kate Bush, Earth, Wind & Fire, Dave Brubeck, Elvis Costello, James Taylor, Doobie Brothers, Loggins&Messina, Patty Labelle, Kool and the Gang, Patrice Rushen, Meshelle Ndegeocello, Chick Corea, Marcus Miller, Burt Bacharach, Musiq, Maxwell, Prince, George Benson, Al Jarreau, Tears for fears, Elton John, Ella Fitzgerald, Lisa Stansfield, Talk Talk, Nancy Wilson, Pat Metheny, Frankie goes to Hollywood.